“Bah, humbug! Fools wishing me a Merry Christmas should be forced to sit on cushions stuffed with holly leaves or boiled with their own Christmas puddings.” Miserable old Ebenezer Scrooge hates Christmas. Can somebody so selfish, so harsh and so horrible ever change his ways? 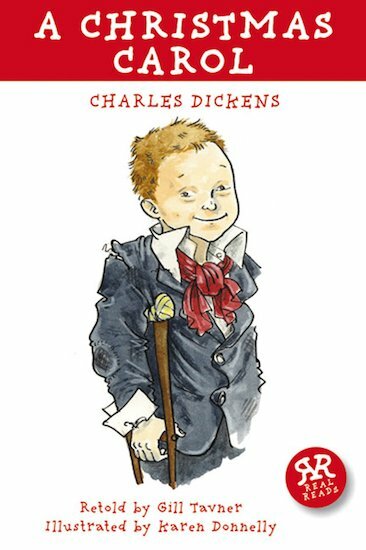 Putting big literature into little hands, this Real Reads book shrinks a towering classic, bursting with vivid characters, into a punchy short edition for younger readers to get real with.